You provide the ideas. We help you deliver. New discoveries have the potential of improving lives and strengthening economies. But developing those breakthroughs into deliverable products and services requires substantial business support. That's where we can help. The Purdue Research Foundation works to pair your ideas with the people and money needed to commercialize them. Working with faculty, staff and students on everything from intellectual property protection to market analysis, feasibility, funding, company formation, and real estate we help you commercialize your innovations while advancing Indiana's economy. Incubation Services: We support technology-based firms with services and amenities at business incubators around the state at Purdue Research Park network locations in West Lafayette, Indianapolis, Merrillville and New Albany. The Purdue Research Park of West Lafayette is the largest university-affiliated business incubation complex in the country. Funding: This initiative offers financial support for new ventures developing Purdue-owned technology and Purdue Research Park-based companies. By providing funding for very early-stage companies, we help speed the process from discovery to delivery. Office of Technology Commercialization: A division of Purdue Research Foundation, OTC helps to protect, market and license Purdue's commercially viable technologies. Purdue Foundry: The Purdue Foundry is an entrepreneurship and commercialization hub in Discovery Park's Burton D. Morgan Center for Entrepreneurship whose professionals help Purdue innovators create startups. Purdue Entrepreneurship and Commercialization: Find support and guidance for your next "Big Idea" including resources for starting a company, funding, IP protection, entrepreneurial programs, available technologies, collaborating with Purdue and more. 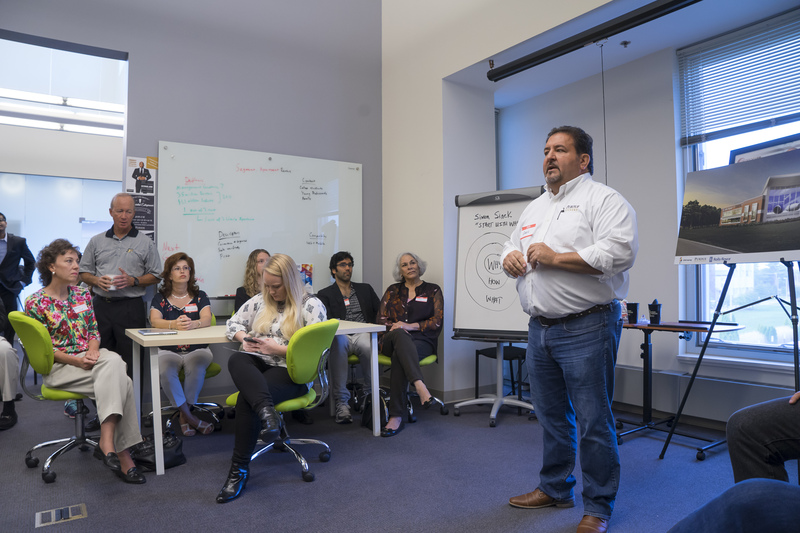 Burton D. Morgan Center for Entrepreneurship: Our affiliates at this interdisciplinary center within Discovery Park help equip faculty and students with entrepreneurial skills needed for business success.